.... and my face is on it! 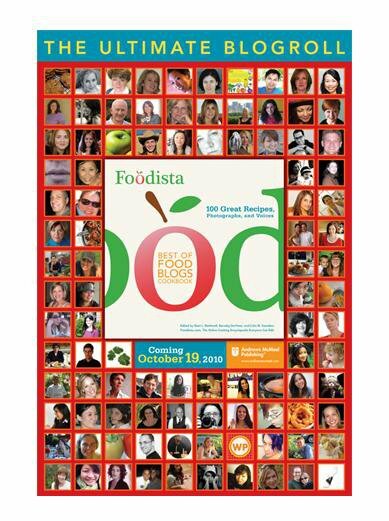 It's official: you can now get your hands on Foodista's Best of Food Blogs Cookbook via Amazon. There are 100 recipes in this juicy collection, including Married to Chocolate's pimped out No-Bake Frozen S'mores Bars. WOOT! I've been the biggest slacker on blogging (how dare me!). But between moving half way across the world (more on that soon) and starting a new job (more on that too), I haven't found enough time to date my chocolates. But fear not, I have a big fat pile of chocolates from all over the globe sitting in the pantry waiting for me. And I'm ready to mingle. It's going to be so easy making it up to you. Loving my chocolate-covered dates from the Middle East! This is a love story you'll want to hear. Stay tuned! Congratulations Kris!! What an accomplishment! You're amazing! Awwwww thanks for the love Martina!! Yay! I want copy. Will I get in India? I have realized that every time you make a post about this book, my comment is exactly the one above. I need more originality in my life. Hahaha! Does Amazon ship to India? They might!! Can't wait to hear the story about the dates!